The Burton Grom Boa, a progression friendly beginner boot, offers a forgiving and comfortable all-day ride for your little ones. 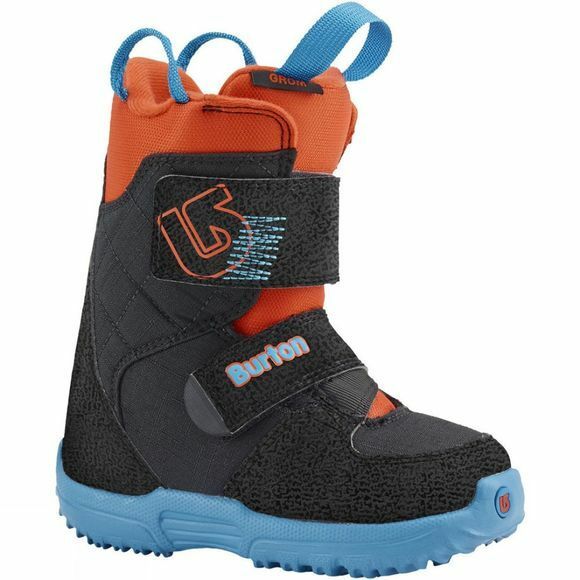 The Burton collaboration with Boa® gives these boots one of the most manoeuvrable and mitten-friendly closure systems that’s easy to use, even for the littlest hands. 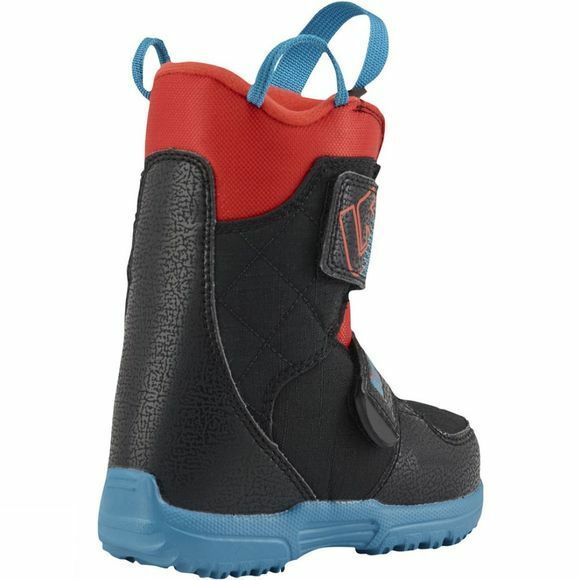 With Room-To-Grow footbeds, the Grom boot will fit for seasons to come. LINER: 3M™ Thinsulate™ – Mapped synthetic insulation materials that are extremely warm, lightweight, and bulk-free. LACING SYSTEM: Boa® Coiler™ Closure System – A highly dependable lacing system that can be adjusted at a moment's notice anytime, anywhere. The simple twist of the knob at the top of the boot strategically tightens in just the right places. New England Ropes – American-made, natural fiber ropes power Burton's Speed Zone™ systems. Virtually indestructible, New England Ropes' laces are the same stuff used by stunt men, firefighters, and rescue teams. FOOTBED: Room-To-Grow Footbed – To keep up with kid's constant growth spurts, the Room-To-Grow™ footbed allows you to gain one full size. Rather than buy new boots every season, simply remove the footbed when the fit becomes snug. A secondary, integrated footbed means there's no compromise in cushioning or support. SOLE: DynoLite Outsole with Size Indicator – Superior cushioning, improved board feel, and consistent support in a 20% lighter weight construction. Made entirely of an exclusive cushioning compound specially formulated to withstand repeated impacts and freezing temps for long lasting shock absorption. Other Features: Snow-Proof Internal Gusset – All Burton boot tongues feature an internal gusset construction to completely seal the lower zone of the boot, keeping feet warm and dry.